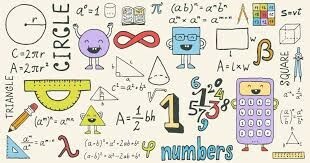 Mathematics requires a great deal of hard work and effort by students in order to be successful. Regular attendance and full involvement in all the tasks and activities provided is essential. Homework must be completed to a high standard and submitted on time. It must be neat, accurate and well organised. Support will always be available when required. Mistakes are inevitable, but good mathematicians will learn from their mistakes and prepared to ‘have a go’ until they get it right. The qualification consists of three equally weighted written examination exam papers at either Foundation tier or Higher tier. All three papers must be at the same tier of entry. Each paper is 1 hour and 30 minutes long and is worth 80 marks. Each paper has a range of question types set in both Mathematical and non-Mathematical contexts. Gaining a good GCSE Mathematics qualification is essential in order for students to take their place in the 21st century real world. Almost every single job or career will involve some element of Mathematics to a greater or lesser extent. Students that gain a good pass in their GCSE Mathematics qualification would be suitable candidates to consider studying Mathematics at A level (or possibly even Further Mathematics at A Level). Beyond this, students can study for a Mathematics or related degree at university or secure well paid careers in accountancy, insurance, statistics, marketing, banking, retail, engineering, education and much more.